The Git Integration for Jira app supports Azure DevOps. This process requires an existing Contributor user access to TFS projects. On your Jira Cloud dashboard menu, go to Git > Manage Git Repositories. The git configuration page for connecting repositories is displayed. On the Auto-connect integration panel, click Microsoft. 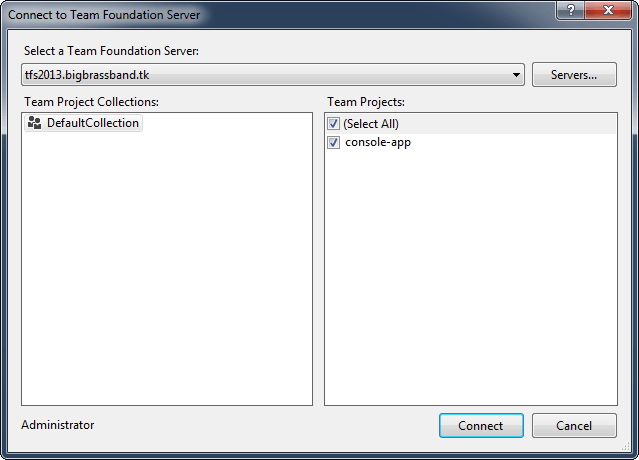 On the following screen, select Team Foundation Server. Enter the Host URL, Username and Password for this connection. The › Advanced twisty has the default /tfs path. Thus, there is no need to add the /tfs to the Host URL path. Click Next to continue. Repositories of the connected Team Foundation Server can be automatically connected to Jira Cloud. Repositories that are added or removed from TFS will be likewise connected or disconnected from Jira Cloud. The TFS repositories are now connected to Jira Cloud. The Git Integration for Jira app automatically configures web linking for TFS repositories. Webhooks are supported on TFS. You can setup a webhook via Git menu > Manage Git Repositories then click Webhooks. Enable it to use this feature. It will trigger immediate index of repositories but will index all of them. 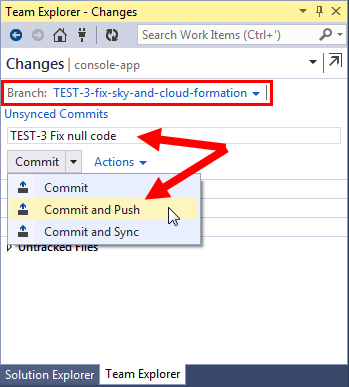 For the following steps, a TFS server and a Visual Studio environment that supports git is required. Open Visual Studio IDE. Sign in to your Microsoft account, if prompted. Select a server in the dropdown list to connect to. Enter Username and Password, if prompted. Select a Team Project to work on then click Connect. 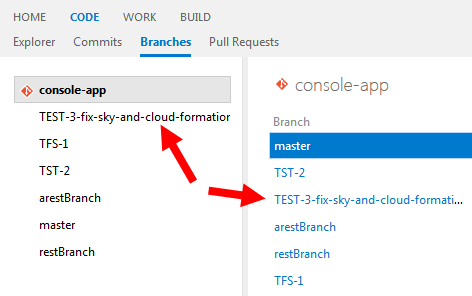 For first time connection to the TFS team project, the default work branch is master. 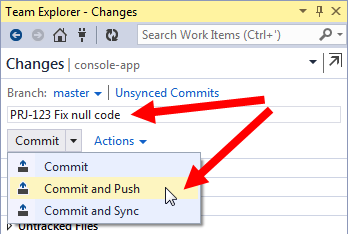 On the Team Explorer, click Unsynced Commits or Sync. Click the Pull to clone the git repositories to your local machine. Make changes to the code of a file/project. On the Team Explorer, click Changes. Type a message for this commit. To associate this commit to the Jira issue page, mention the Jira issue key along with the commit message. Where PRJ-123 is the Jira issue key and Fix null code is the commit comment. The commit is published to the TFS server. To view the commit in Jira, go to the Jira issue mentioned in the commit message. Click the Git Commits tab in the Activity row. The Git Integration for Jira app supports creation of branches from Jira via the developer panel. Open a Jira issue then click Create Branch under Git Commits > Branches group on the developer panel. The Create Branch dialog is displayed. 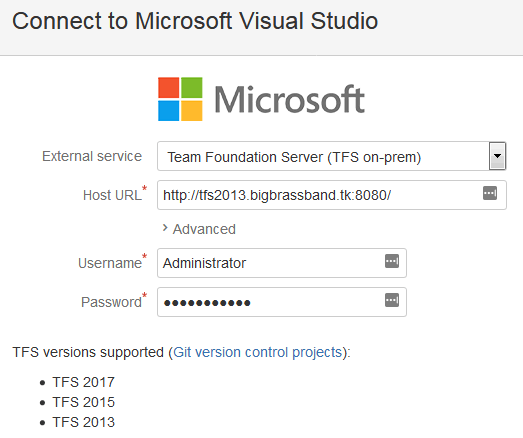 The branch is created and can be viewed under the Branches tab in your TFS server. 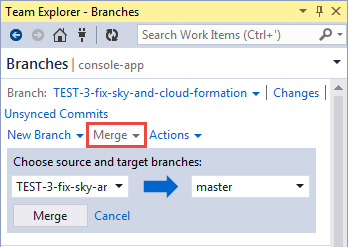 To update the branch list to your Visual Studio's Team Explorer, perform a Pull action on the connected team project. The branches list in your VS IDE should be updated now. On the Team Explorer, click Branches. Click New Branch then select the newly-created branch from the dropdown list. The selected branch is now listed under the Published Branches in the Team Explorer. Make sure that Branch: displays the name of the newly-created branch. If not, select it again from the list. The pull request feature works the same as merge request. Open the Jira issue where you previously created a branch. On the developer panel under Git Commits > Pull Requests, click Create pull request. The Create Pull Request dialog is displayed. Set the Source branch to the newly-created branch. Set the Target branch to master. Give the pull request Title a descriptive name or leave it as is. 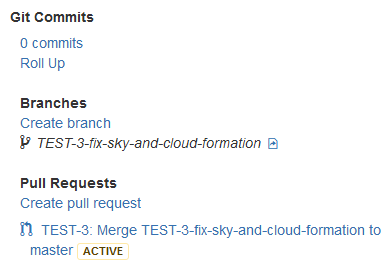 The branch and the pull request status are displayed on the developer panel. Continuing from the above steps, the current branch is ready for merge. On your Team Explorer, go to Branches. Set the source to the branch you pushed the commits to. The reviewer's approval is required to completely merge the pull request. This usually takes place in the TFS server web UI where your updated code is being reviewed. Once approved, the team leader or reviewer can then complete the merge. 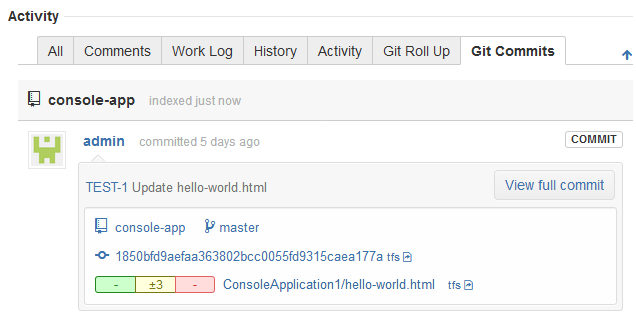 The commit can be viewed in the associated Jira issue page.